Take 3 tablets daily, preferably with a meal. 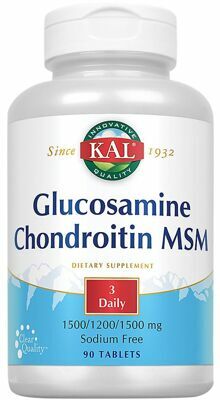 KAL Glucosamine Chondroitin MSM is an advanced joint combo intended to provide nutritive support for normal joint comfort. 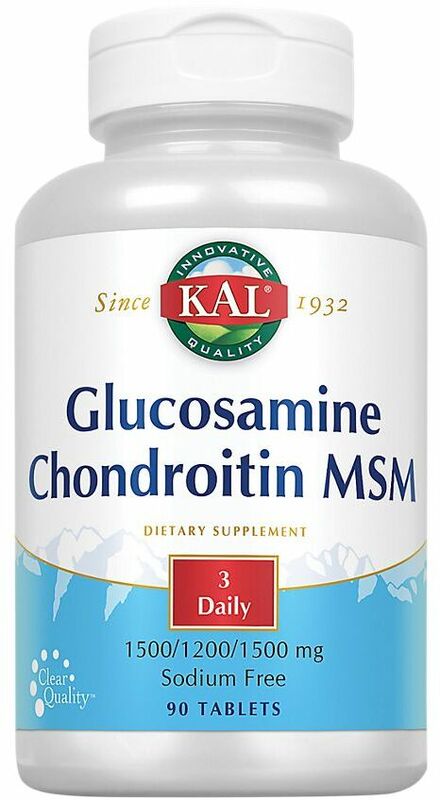 MSM provides an organic source of sulfur which is necessary for normal cartilage formation. Glucosamine helps keep collagen supple and Chondroitin provides lubrication to help the joint glide easily. Vitamin C promotes healthy connective tissue and provides antioxidant support. KAL Guarantees that NO ingredients other than those listed on this label have been added to this product. Use only as directed. Take 3 tablets daily, preferably with a meal. Store in a cool, dry place.